Jody Becker, MSW, Ph.D., has over 25 years of experience in both the public and non-profit sectors. She has served as an executive leader, public administrator, researcher, legislative liaison and social worker at local, state and national levels. She has spent part of her career living and working in Indian Country, focused on issues related to racial disproportionality, historical trauma, national Indian child welfare policy, juvenile justice, behavioral health and government-to-government relationships. In each of these roles, she has remained steadfast to her purpose to instill hope and promote humanity where it is often times needed the most. Jody is curious and innovative by nature. Throughout her career she has been an agent of change by creating opportunities to identify and break down barriers, build systemic approaches to service delivery, utilize analytics to inform policy, practice and budgetary decision-making and inspire others to push the boundaries of what is possible. While at the Department of Social and Health Services, she led efforts to expand the use of integrated data to enhance the service integration for multi-system involved children and families. As chair of the Family Policy Council, she was a champion for expanding the knowledge of adverse childhood experiences and the impacts of toxic stress on brain development and promoting cross-systems engagement to improve outcomes for vulnerable children, families and communities in Washington State. She is an authentic, transparent, and respectful leader with demonstrated ability to communicate effectively, to establish rapport and trust, and to serve vulnerable populations with compassion and humanity. Through collaborative processes, she brings people and ideas together as a collective force to make a positive difference in the lives of others. She has an advanced level of expertise to successfully plan, partner, communicate and implement performance management strategies aligned across multiple venues and within complex organizations. As an executive leader, she is committed to long-range program and infrastructure development using a systems approach while also being attentive to the short-term tactical strategies needed to develop, implement, and sustain efforts using change management principles and strategies. 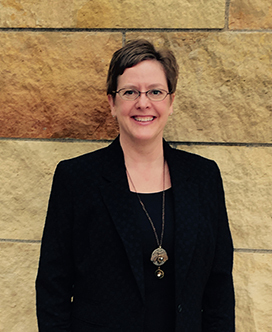 Jody earned a Bachelor of Arts degree in Social Work from the College of St. Scholastica, a Master’s Degree in Social Work from the University of Utah and a Ph.D. in Social Work and Applied Research from Portland State University. She received the Governor’s Award for Leadership and Management in 2015.